Rampant Mario Balotelli is to be the centre of attention when Olympique Marseille host his former club Nice on Sunday night. The media happy Italian international is the talk of French Ligue One after he posted his goal celebrations live on Instagram following a spectacular overhead kick in last Sunday’s 2-0 victory over Saint Etienne. The former Inter Milan, Manchester City and Liverpool striker has lifted the mood at Stade Velodrome after arriving in January on a free transfer from Nice. Balotelli’s four goals in five games have propelled the 1993 European champions back into contention for a place in next season’s Champions League; a far cry from his time at Nice for whom he didn’t score a single goal in ten outings. Patrick Vieira’s Nice are usually very difficult to break down and boast the highest number of clean sheets outside the top two. 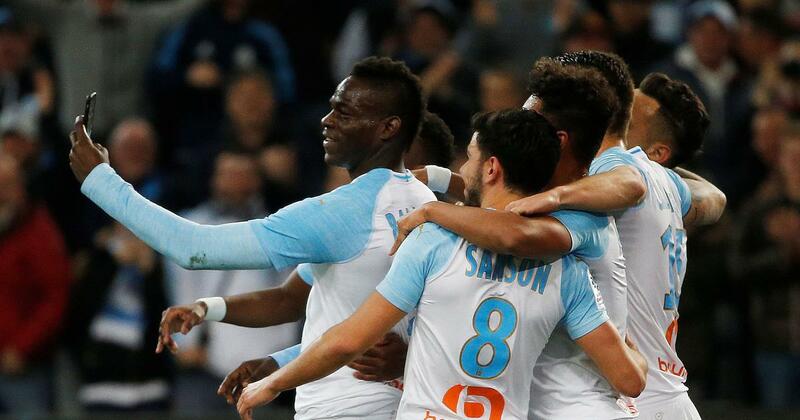 But in Rudi Garcia’s Marseille, they come up against a strike force playing within their element as all three Stade Velodrome front men – Balotelli, Lucas Ocampos and Valerie Germain have been among the goals in recent weeks. Ligue One action gets underway on Saturday afternoon with third placed Olympique Lyon away to Strasbourg. Bruno Genesio’s northerners pummeled Toulouse 5-1 at Stade Lyonnais last time out, with the front four of Memphis Deepay, Bertrand Traore, Nabil Fekir and Patrick Dembele all on the score sheet. However, Genesio is expected to ring the changes in readiness for next week’s Champions League round of 16 tie away to Barcelona. Rejuvenated Monaco will be aiming to create distance from the relegation zone when they host Girondin Bordeaux later on Saturday night. The 2017 champions are strongly favoured to overcome a Bordeaux side that fell 1-2 at home to Montpellier on Tuesday. The principality club are being tipped to continue their recovery as they’ve won their last three home rubbers. Sunday’s pick of the matches sees Saint Etienne’s array of veterans lock horns with Lille Metropole’s fast and rising stars. The hosts’ top goal grabber, Tunisian Wahbi Khazri, and Lille’s Ivorian marksman Nicholas Pepe are poised to hog the headlines in this clash between two Champions League chasing sides. Elsewhere, relegation threatened Amiens and Dijon will be counting on home comforts in their respective ties against Nimes and Reims, whereas basement club Guingamp are away to Toulouse. Runaway leaders Paris Saint Germain are not in action until next Tuesday when they defend a seventeen point advantage atop the standings away to Dijon.